We were going to a birthday party for my brother Mark. He is my baby brother and the baby of the family, he turned the big 50. Our family was going to be there and some of Mark’s friends were coming also, so I wanted to make something that I thought everyone would enjoy. My thoughts turned to pizza, everyone loves pizza. But really that was not going to happen, so why not bring pizza dip, the next best thing. While looking at the web to find the right recipe, I found several that had cream cheese in them. They didn’t sound appealing to me. Cream cheese just didn’t sound like it should be one of the ingredients in a pizza dip. But, since I have started my blog I have learned one thing and that is that I have to step out of my box and try new things. So I decided that cream cheese would go into my pizza dip in the slow cooker and that I would throw a few other ingredients and hope that it would turn out to be tasty. But I still didn’t find the recipe that I wanted so I decided to throw in the things that I thought would make a dip that everyone would enjoy. So I made a simple pizza dip and it turned out quite tasty. I had several people come and tell me that they enjoyed my dip. For me when I envisioned this dip it had to have Italian sausage and pepperoni, lots of cheese, and of course pizza sauce. See I told you it was simple. I am sure if you if you would like to you could add some sliced olives, mushroom and whatever else you like on your pizza. But I have fussy eater in my family and wanted to keep it simple and it worked out just fine. I made my own breadsticks to serve with this, but you can use French bread, chips or whatever you prefer. 8 ounces (2 cups) of Mozzarella cheese (I used an Italian blend cheese – it had Mozzarella, Asiago, Provolone, Parmesan, Romano, and Fontina. But Mozzarella would be just as good). Add sausage to a medium skillet, cook over medium heat until the meat is browned. Do not overcook the meat since it will continue to cook in the slow cooker. While the sausage is cooking cut the cream cheese into small squares. Once the sausage is browned remove any grease from the sausage and add the sausage to the slow cooker. To the sausage add the pepperoni and the pizza sauce. Mix these ingredients until they are well blended. To the first mixture add the cream cheese and the Mozzarella and stir the cheeses in. Cook for 3 to 4 hours on medium heat, stirring occasionally to blend in the cream cheese. Serve with breadsticks or chips. Now I would like to take the time to thank Michele from follow me home… for giving me the Sunshine Blogger Award. 1. I never have enough time in the day. 2. I was a grandma for the first time just over 2 months ago. And I love it. 3. I work as an office manager. 4. My second child Jon will be getting married next year to his lovely fiancée Brianna. 5. I love canoeing in the summer. 6. I am not a fan of snow and cold even though I live in Minnesota where it gets very cold. 7. I really love cooking for my family and love it when we are all together. 8. I love taking walks outside in the summertime. 9. My husband Mike and I have the same birthday October 15th. 10. I find listing 10 things about myself very hard. I guess I am not a very exciting person. As for giving this award away to other bloggers, I hope you don’t mind if I don’t list individuals for this. There are so many great blogs out there that I think you all deserve this award. Thanks so much Michele for this award, I think that it was so kind of you to think of me. So I hope you visit Michele’s site at follow me home… Michele is a funny lady and I just know that you will enjoy reading her posts as much as I do. First, congrats on your award! I loved your ten things. I lived in Michigan most of my life. I know what you mean by that Minnesota cold 🙂 LOOOONG winters! 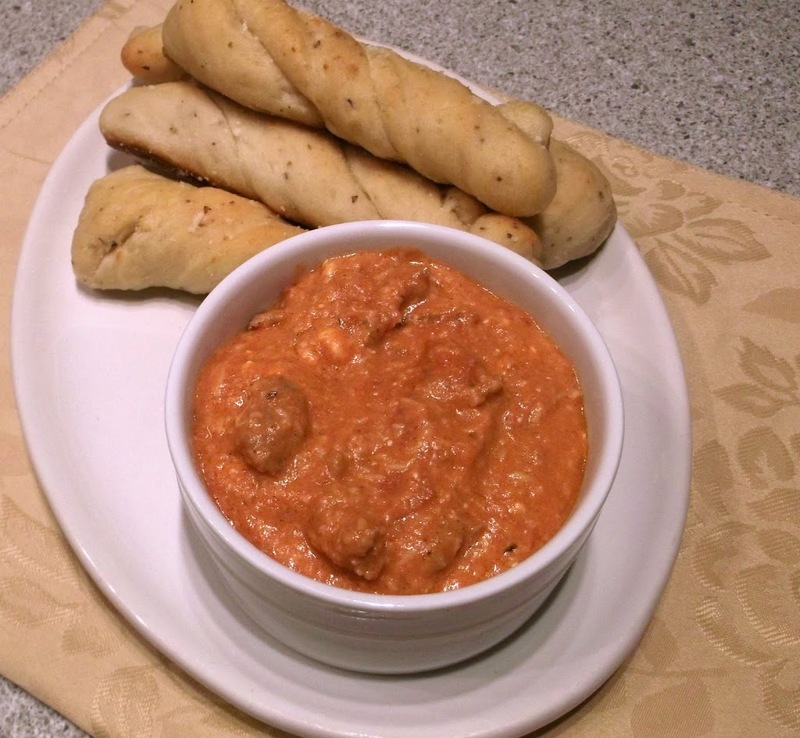 Love the idea of a pizza dip! Especially with homemade breadsticks! That’s over the top. It was great getting to know you better! How cool about the birthdays. 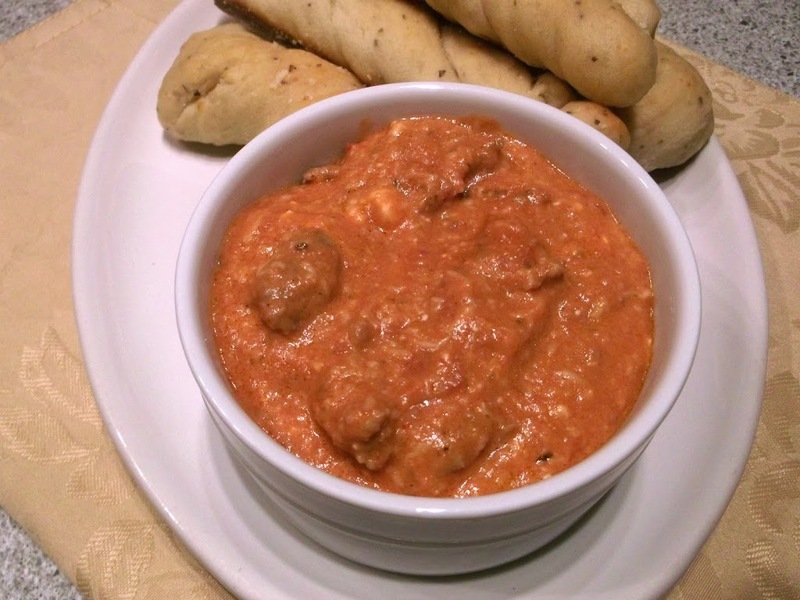 Congratulations on your award…and this dip looks delicious…great that you used the slow cooker…yum! 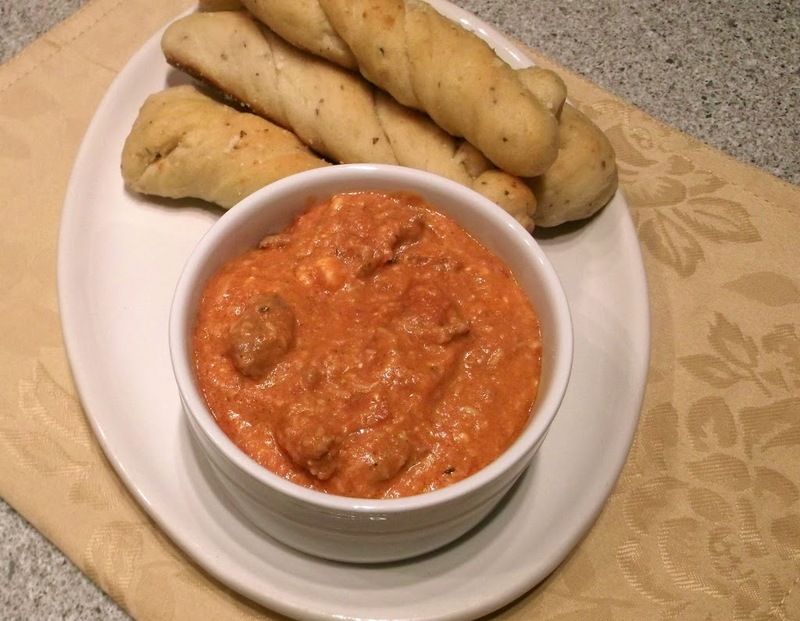 I’ve never had pizza dip, but it’s a great idea. Love the flavor you’re using, too. And this would be great with homemade bread sticks! Really nice idea – thanks.